Who wants a traditional wedding cake, anyway?? Such a fun request – bride and groom playing rugby before spending their honeymoon in Italy and Australia! 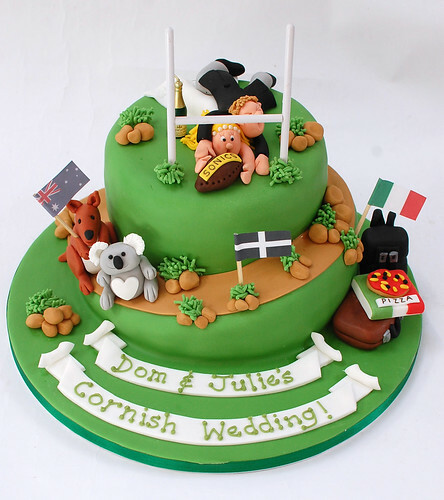 The Rugby Wedding Cake – from £120.